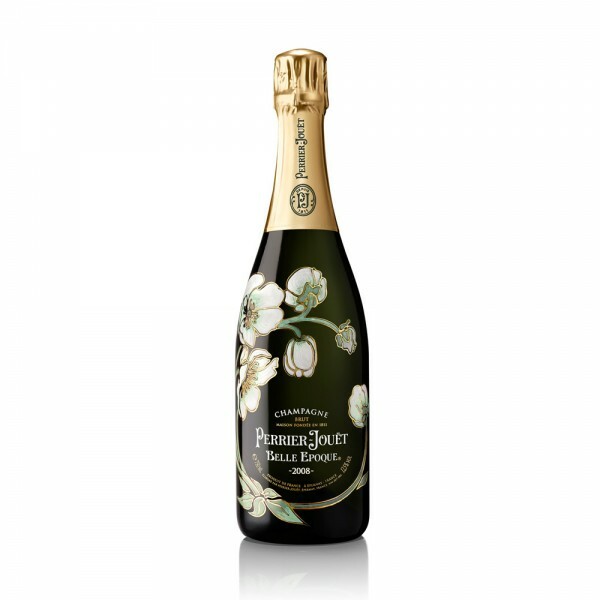 Perrier-Jouët Belle Epoque 2008 is a delightfully fresh and floral Champagne cuvée, mirroring the iconic flower image on the label. On the eye, shimmering pale gold liquid and persistent tiny bubbles remain true to a nose of bright honeysuckle, juicy pear and peach, and a fresh zesty lemon coated in delicate brioche. The palate follows with superb floral notes and a wonderfully persistent crystalline freshness, revealing white fruit flavours, complemented by notes of almond milk. Made with a blend of Chardonnay, Pinot Noir and Pinot Meunier, this is a Champagne with a delicate yet structured style from a cooler vintage. Invigorating, vibrant and beautifully balanced, the Belle Epoque 2008 is a truly splendid cuvée. Enjoy now for its freshness and balance, and watch bloom into what should be a nearly perfect Champagne in the coming decade.